Philippe and I had an uneventful Tehuantepec crossing (map). 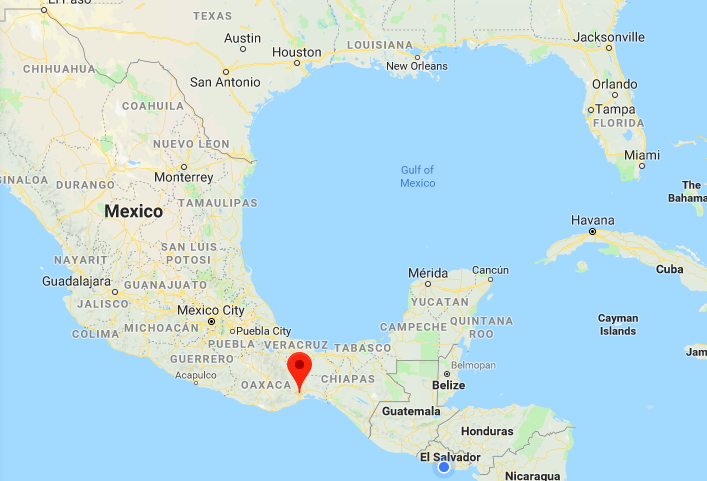 The Tehuantepec can be a big deal, since the wind funnels from Texas and the Gulf of Mexico through the skinniest part of Mexico. This can create some high winds and big waves, leading most sailors heading south post up in Huatulco to wait for a weather window. We stuck to that plan as well, and caught a weekend weather window with absolutely no wind. We started out hugging the shoreline, which is the recommended strategy for minimizing wind and wave activity, but abandoned that plan when it became clear that we would have a windless, waveless passage regardless. A few squalls chased us through the night, but aside from seeing some lightening in the distance and tracking them on our radar, that was also quite uneventful. Work has been a little nuts lately, which I’m sure contributes to my lack of Chiapas memory. I’m working with six brand new utility partners and hiring for 3 new positions on my team, plus all of my normal work responsibilities. Luckily, cell service was good. We mostly used the Wifi from the nearby restaurant, Baos, which was acceptable with the help of our booster. I didn’t leave the boat much, though, especially since town was a little ways away. It still blows my mind that Philippe and I have been at this for about seven months now. We loved Mexico, and leaving the country behind us was surprisingly sad. I’m already looking forward to our return to Mexico – to the delicious food, sun-faded colors, friendly people, and clean beaches. We skipped Guatemala, but are currently in El Salvador, where we’ll stay for a few more weeks. As sad as it was to leave Mexico, we’re excited to settle in for a bit and explore a new country!